Inventory Wardrobe Manager helps you to track any articles your organization issues to staff. Whether items are issued to staff per shift/event, per season, or permanently, ABIMM Inventory Wardrobe streamlines the process without the mess and inefficiencies of paper. In this module you can quickly find all unreturned items, from all employees or Vendors,with the Outstanding Issues Report. This is a great tool to show you exactly who checked out which item(s) on which day and time. To run this report navigate to Inventory / Wardrobe Manager > Reporting > Outstanding Issues. 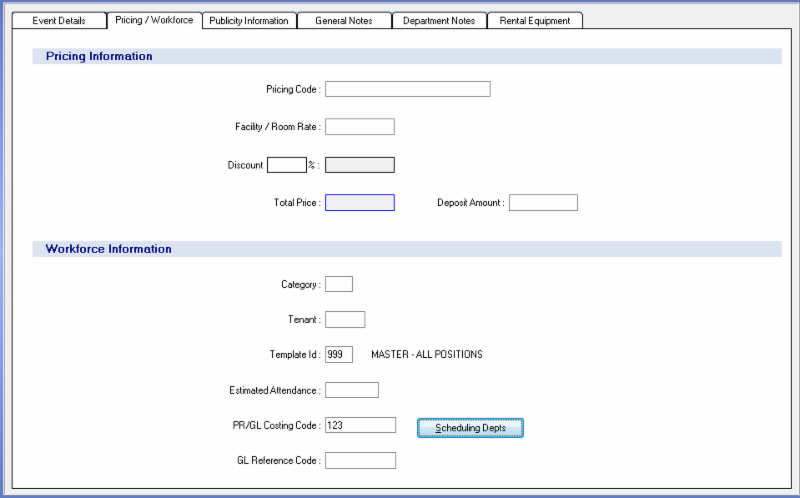 You can first specify the sorting method by Item, Employee, Department, or Vendor and then you can choose to filter whether you want all outstanding items or if you’d prefer to separate Seasonal and Non Seasonal Items. You can choose one or multiple Locations as well as Items. If you want to include all outstanding Issues you can delete the From Date otherwise you can just specify the date range you’re interested in. 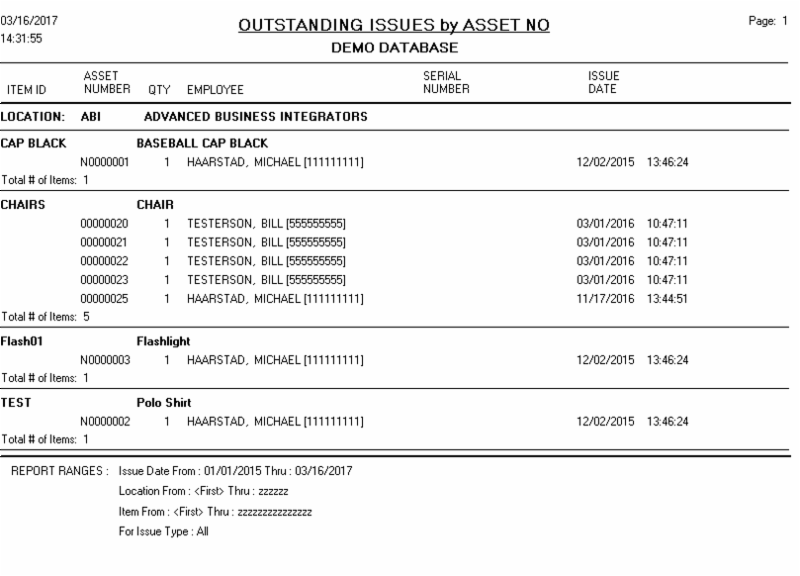 Last you can choose to include asset details and/or just view items from Terminated Employees Only to see if anyone who has left the company still has unreturned items. Applicant Manager provides a web portal for job seekers to view and apply for job vacancies at your organization. This is particularly helpful for departments with numerous employment openings by providing a resource to track the progress, documents, and onboarding steps of new hires. 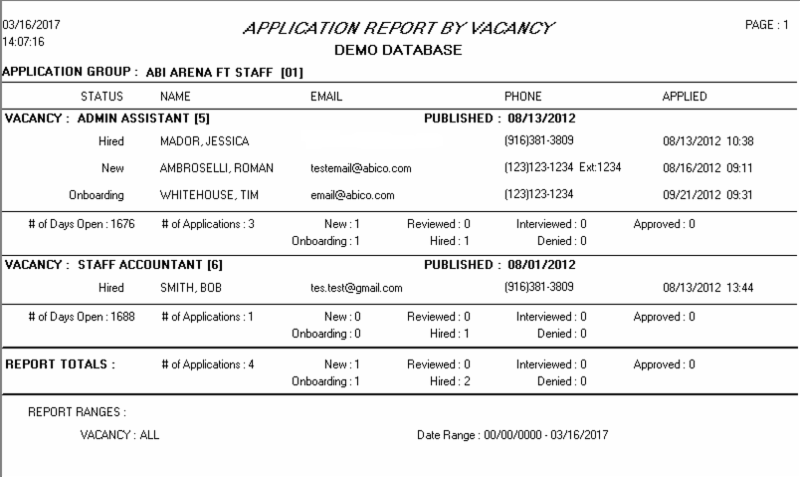 One of the many features the Applicant Manager includes is a report on all activity for each job vacancy. This can be found in Reports > Application by Vacancy. The only required field is the Applicant Group and, once selected the report can be filtered further by Application Date, Status, and more. Summary will provide basic information such as the applicants and their status, while Detail will be more comprehensive and provide answers to their application questions. 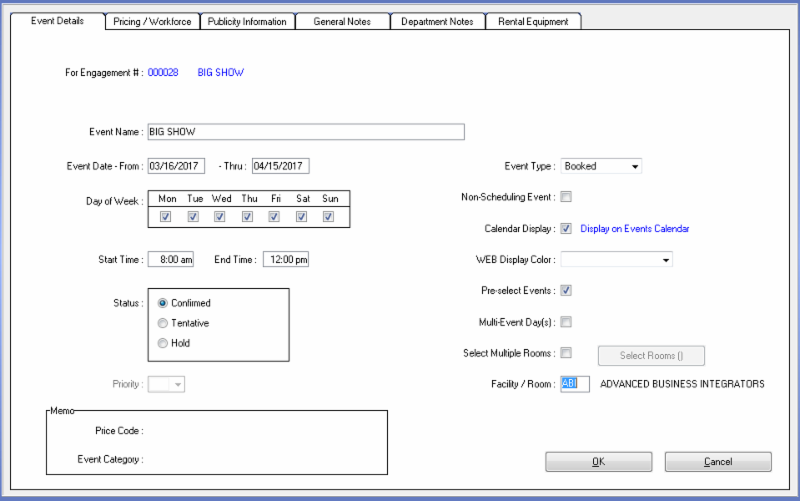 The Event Booking Manager module provides a massive expansion to ABIMM’s Workforce Manager event tracking and creation capabilities. It not only enhances and simplifies the process of creating individual and multiple events, it adds the ability to track event bookings, room bookings, rentals, contracts, and more. One of many time saving features is the ability to create multiple events at once. To use this feature navigate to Engagements > choose an Engagement No. > Event Details > Add Multiple Events. Add information as you would an individual event, such as the Event Name, Start Time, Facility, and Template ID (Image 3). 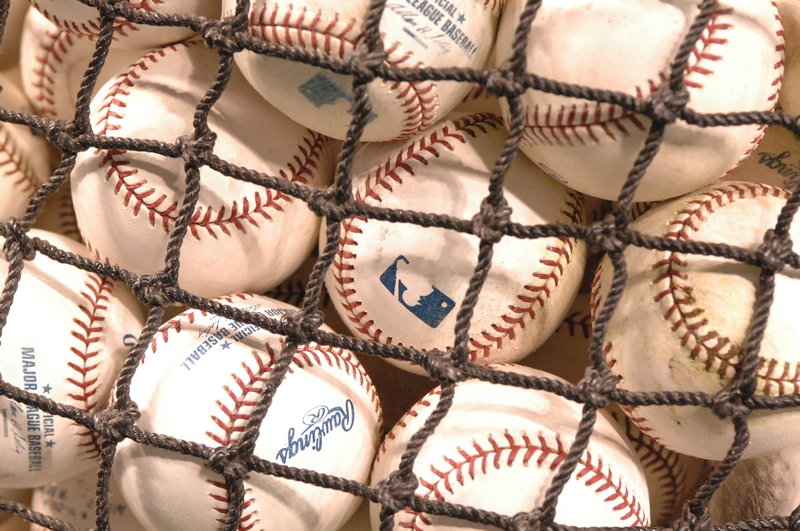 Then you will choose which dates to make each event for and the days of the week they will take place on. If these dates are mixed, choose all days as you will be able to deselect them in the next screen. Once you’ve input all relevant information click OK (Image 4), you can then change the events on an individual basis if anything varies such as the Start Time or Event Name. 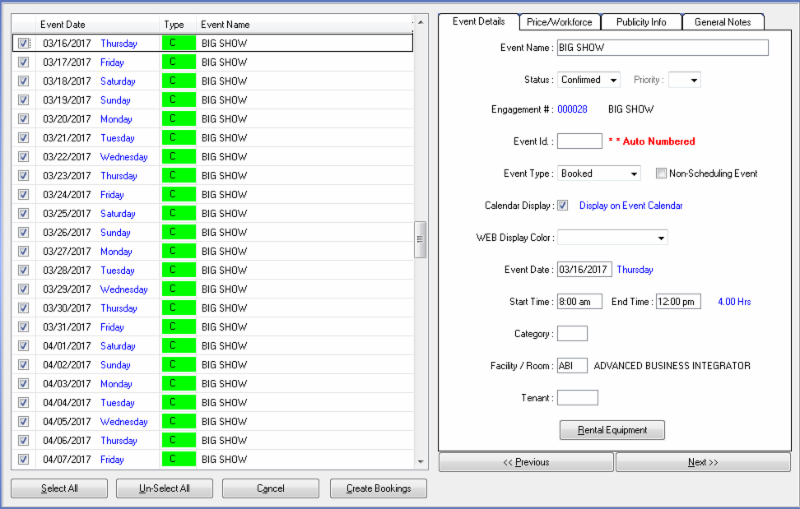 When all changes are complete, click Create Bookings and the system will add all Events to the calendar (Image 5). Note: Tentative and Hold Events are not created in Workforce Manager, only Confirmed events.